Christmas the most wonderful time of the year! You know that time of year that is hectic, social, fun all in one and usually caught on camera! Whether spent creating a magical winter wonderland for the children, hot footing it from one glitzy party to another, or rushing around seeing family and catching up with old friends, looking good is always on the agenda over the festive period. Up the water content. You skin with suffer from the late nights and bubbles so try and keep it as hydrated as possible. A few days beforehand, take regular doses of the herb Milk thistle, which has been shown to assist the liver in dealing with excess alcohol. Use a body scrub in the shower every day for the week before your big event. This way your skin will be exfoliated and smooth, a perfect base for any fake tan application. Be radiant and glowing at every party with a little help from a Sienna X spray tan. Look chic and polished with a shellac mani/pedi. 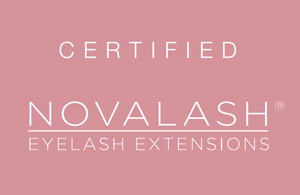 Add instant glamour to any look by treating yourself to a set of American Volume Lashes by Novalash. Invest in a good eye cream to keep your eyes fresh. Not all parties leave much time for preparation so keep a bottle of dry shampoo on hand. Carry pressed powder in your bag, eliminating shine, leaving your skin looking flawless and able to last into the early hours. With these tips and treatments you’ll be party ready in no time at all.